Can you use farm fresh brown eggs for coloring eggs? With Easter coming up, I’ve been wondering how possible it is. We have brown layers, and some of them are pretty dark. Others are so light I’d almost call them pale pink. 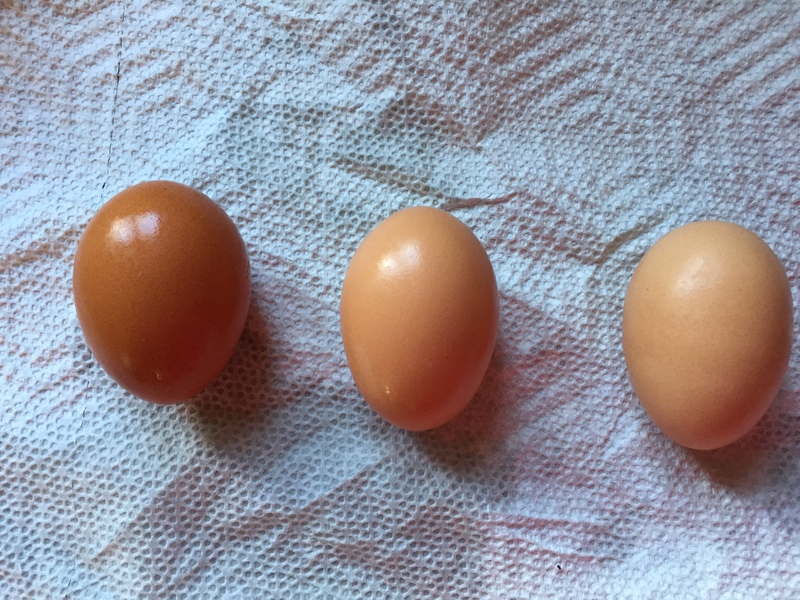 So I wondered, what do you get when you color a brown egg? And then I thought… why not try it and see! I’m using this “recipe” for my dye, with only change being the color of the eggs. My chosen test subjects, from left to right: dark, medium and fairly light. Step 1: hard-boiling the eggs. I did this for 15 minutes because these eggs are fairly fresh. Step 2: boiling the water for the cups. Step 3: choosing colors and getting the vinegar. Step 3 again… my cups. I put blue dye in the blue cup, the neon purple in the orange cup, and the neon yellow/green in the yellow cup. The dark egg in the blue. I let them sit for 3 minutes. Dark… looks like black/dark green. Medium… beautiful rich purple, fuchsia. Light.. to me, it looks kind of like a ‘spring green’ crayon. You know the one that looks either yellow or green depending on who sees it, or the lighting. And there you have it, folks, the answer to our question. 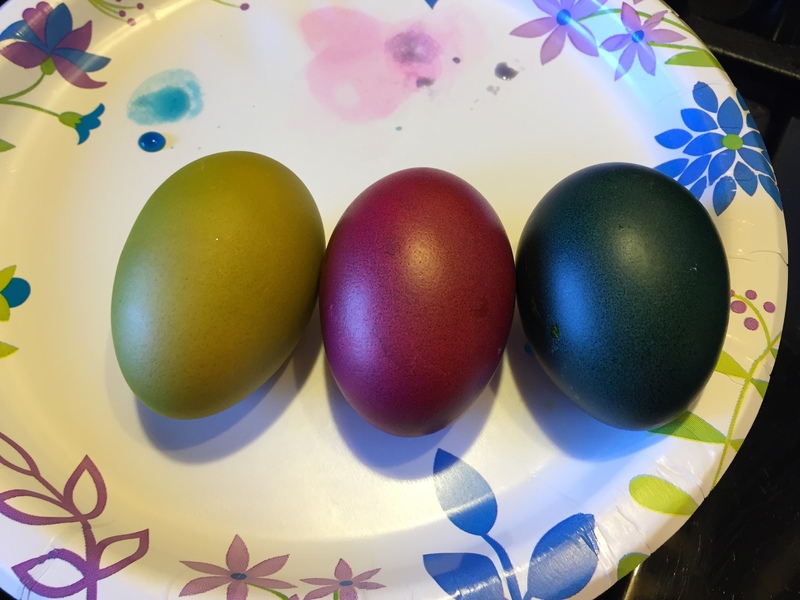 You can color brown eggs with decent results! Next month, when the kids and I do our Easter Eggs, I’ll let you all know how it goes if we use a coloring kit. The results may very. now, off to make egg salad for lunch!!! I used a coloring kit last year for ours, but we didn’t let them sit very long, maybe 15-30 seconds for each color. The colors weren’t very dark, it seemed to just tint the eggs. I like how dark your colors came out on your eggs – I will have to try your recipe. I love love love the colors that came out for these!! So pretty! A little dark for Easter colors but really rich and pretty! This is perfect! I wondered the same thing since most of our chickens will lay brown eggs also! We are still far away from laying eggs but I adore the colors of your “experiment” eggs and look forward to some fun experiments of our own next Easter!